Unlike other Forex Brokers that offer Dash, they don’t treat you as just a number but a valued partner – they aim to establishing a long-term relationship with you to help you trade successfully. Will explain as to why this Broker is one of the best Choices you can make when selecting a brokerage. 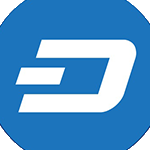 XTB Dash broker was founded originally as a company called X-Trade. The were founded in 2002, was the first forex brokerage that was established in Poland. Today, they have become the 4th largest stock exchange listed forex and CFD brokerage firm in the world. XTB’s operations cover most of the world and have offices in more than 13 different countries including Poland, France, Germany, Turkey and the UK. Like most brokers that are located In different countries even continents, they are regulated with different entities in roder to be able to provide legal Trading services to the people in those countries. They hold licenses at BaFin, CMB, FCA and KNF. They have build a good relationship reputations a re winning prizes all ove the financial world for the best trading platform and best service. In short this is a broker you should take serious as much as he is taking his traders serious. Established in 2002 as X-Trade, XTB dash broker is one the largest publicly owned forex brokerage in Europe. The regulatory oversight provided by the regulatory entities provides the traders with the insurance that this broker is on the level. Also in a worst-case scenario, the traders are insured under a compensation scheme known as the Financial Services Compensation Scheme (FSCS) for up amount of £50,000. Most of the brokers in Europe that are not under the same regulation will have a compensation insured for around half that amount so this is again something that will give traders peace of mind. The support is also offered on a local level in 12 different countries. One of their sales propositions is that they truly believe and implement transparency and clarity, especially when it comes to their spreads and trading conditions. This is a broker that will appeal more to the traders that have been shopping around and are looking for a broker that is able to handle their volume and provide trader related service of the quality they need. this broker has 2 main types of trading platforms for its traders to choose from, the MetaTrader 4 (MT4) platform and the xStation 5 platform. The MT4 trading platform is the most popular trading platform in the industry and comes with a wide range of trading tools. They allow expert advisors and the Their MT4 comes with all the bells and whistles that you are able to get. the platform is of course also available on mobile allow you to trade on the go and where ever and whenever you want. Thou most people prefer to trade on the metatrader 4 there are people that feel more comfortable trading on a web-based trading platform. And for this they have the xStation 5. For a web-trader this is one of the better ones in the market and has won several awards. It is extremely fast and includes numerous trading features such as a trading calculator, advanced chart, trader statistics and equity screener. And of course, this platform is also available in a version for mobile and tablet. Which would in my opinion be a better solution then the MT4 mobile application. 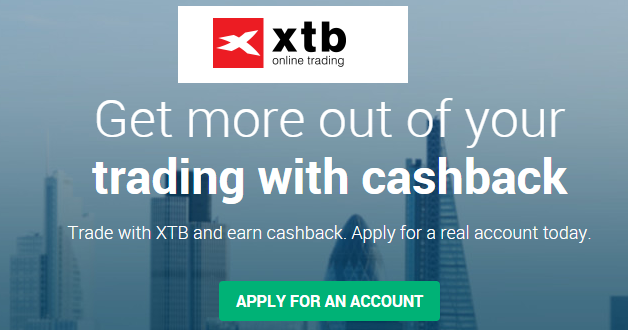 To make sure that they are able provide everything a traders needs regardless of the level of the trader or investment, XTB offers 3 different accounts, Basic account, Standard account and Pro account. The minimum spread for major currency pairs such as the EUR/USD starts from as low as 0.0002 pips for the Basic account and 0.00009 pips for the Standard account and 0.00003 pips for the Pro account. 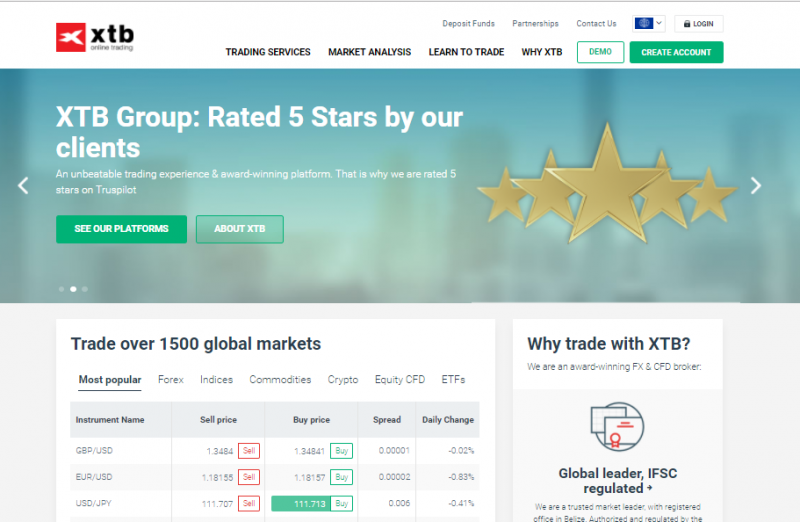 For more information about the market spreads, Traders can check out the XTB’s Price Table on their site. The information on the price table is constantly being updated in real time. In Short this is a premium Brokerage that is above average in every aspect of that is relevant for traders.